Predictive Analytics vs. Prescriptive Analytics: What Is the Difference? In the past few years, “predictive analytics” has become something of a buzzword in the aerospace community. It shows up on a lot more websites, touted as a strength, but if you press beyond a surface-level conversation, it’s clear that many companies can’t tell you much beyond the fact that it will help your business. And if you really want to throw someone for a loop, ask them what prescriptive maintenance is and how it’s different. Whichever side of an awkward conversation you’ve been on, we’re here to help with a breakdown of what predictive analytics means, what prescriptive analytics means and how they are different. Predictive analytics leads to more timely maintenance that can be performed before an issue becomes hazardous, which means maintenance cost reductions, better reliability of components, lower inventory requirements and shorter maintenance turn times. Prescriptive analytics takes predictive analytics one step further by offering specific and actionable next steps for how to solve the issues brought up in the predictive data analysis. While predictive analytics can tell you what will happen, when it will happen and why, prescriptive analytics applies many layers of machine learning to suggest options for taking advantage of future opportunities or mitigating future risks and the potential outcomes of each decision option. Prescriptive analytics provides such robust information by processing hybrid data, including structured (categories and numbers) and unstructured data (images, videos, texts and sounds), and business rules. The analytics programs are always AI-powered, which means that they are always taking in new data to produce more accurate predictions and more well-defined decision options. So, the difference between predictive analytics and prescriptive analytics is the outcome of the analysis. Predictive analytics provides you with the raw material for making informed decisions, while prescriptive analytics provides you with data-backed decision options that you can weigh against one another. They are both good options, but prescriptive maintenance is the more ideal solution for wringing the most value out of the trillions of lines of data that the aviation industry produces every day. How Is Data Analytics Being Used in Aviation? Only a few years ago, predictive analytics and prescriptive analytics were still fairly cutting-edge concepts, but in late 2018, aviation data is big business. Boeing has its AnalytX platform, providing predictive maintenance support as well as data-driven solutions for fleet scheduling, flight planning and inventory management. Airbus’s Skywise provides comprehensive analytics, including predictive maintenance support. An open data platform, Skywise intends to break down the industry silos that have isolated the data for aircraft monitoring and safety, flight management, maintenance and other critical workflows. 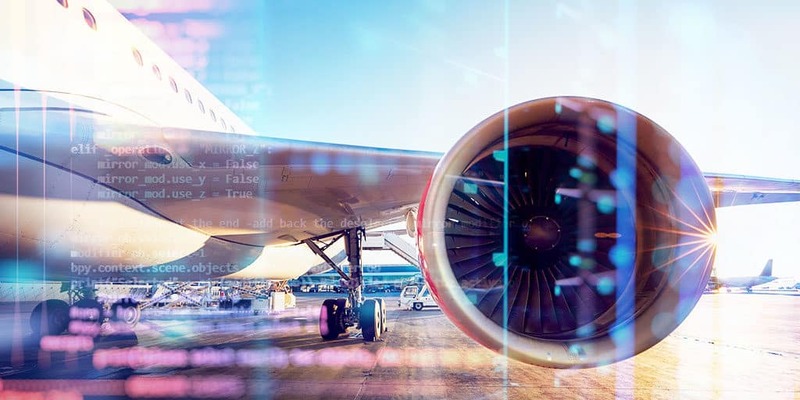 Many MROs are working with OEMs and airlines to create a greater flow of operational data to facilitate a system where predictive, scheduled maintenance is the norm – keeping the letters A, O and G out of the vocabulary. The real shift that needs to happen for prescriptive analytics to deliver on the promise of its capabilities is for aviation data to be more widely shared throughout the industry. Obviously, there are huge – and well-founded – security concerns surrounding data sharing, but when combined with a highly secure and deeply trackable technology like blockchain, prescriptive analytics could truly change the way the entire aviation industry operates, from manufacturing practices to scheduling maintenance to the supply chain.